Gyms specialising in martial arts are opening all over the place, and more and more regular gyms are offering MMA classes. So just about anyone can learn how to strike, kick and grapple like their favourite fighter. Before you sign up, know the differences between the fighting disciplines and find the fighting style that’s right for you. Here’s your primer. Originally based on hand-to-hand combat techniques found in Thailand, the “science of 8 limbs” has grown ­exponentially since being adopted by MMA. “Thai boxing is very combative, it’s not so much defensive,” says Phil Nurse, a Muay Thai fighting legend and owner of The Wat gym in Manhattan. The discipline focusses on stand-up fighting using your feet, hands, elbows and knees. Benefits: Muay Thai requires an intense amount of physical conditioning. In addition to working on strikes, expect to build up your cardiovascular strength and flexibility as well. Who Should Do It: “Somebody who is already athletically in shape and normally a fast-twitch kind of person will do best in the sport,” Nurse says. Don’t be a wuss, either. You need to be ready to take some blows to the head and body as well. In 1886, judo made its debut in a hand-to-hand combat tournament and quickly became Japan’s most popular fighting art, says Martin Rooney, a black belt in judo and author of Ultimate Warrior Workouts: Fitness Secrets of the Martial Arts. Rather than beating up an opponent, judo trains you to immobilise. “You want to throw a guy so his back lands flat on the mat,” Rooney says. You’ll also learn pins and choke holds. Benefits: Because judo specialises in leverage – it’s a great way to build strength in your hands, arms, back and legs. Who Should Do It: Newbies. For somebody not used to a lot of contact, judo may be a good place to learn basic fighting skills, Rooney says. Not interested in getting nailed in the chin? Then consider this your martial art of choice. Perfected by the legendary Gracie family, BJJ is built around leveraged throws and grappling. There’s no striking; you’ll mostly be on the ground applying joint locks and chokes. Benefits: “Grappling on the floor, or rolling, provides a good opportunity to improve your core strength with tough abdominal, back and shoulder workouts,” says Max McGarr, program director at the Renzo Gracie Academy in ­Manhattan. Who Should Do It: Smaller guys or those not quite in peak condition. If you have a height or weight disadvantage, BJJ can teach you how you can take on a larger, stronger opponent from the ground. Most martial arts are rooted in Asia. Sambo comes from Russia and is an amalgamation of several fighting styles. “[Soviet leader Vladimir] Lenin wanted to make sure he wasn’t overthrown, so he sent out Russian martial artists all over the world to bring back the best of the best,” Rooney says. The art is a mixture of throws, strikes and some grappling, predominantly focussed on the ankles, knees and other joints. 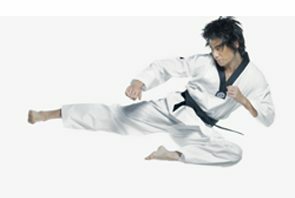 Benefits: Sambo training is a great way to become more athletic overall and prepare yourself to succeed in other sports. “You’re definitely going to improve your strength, balance, and endurance,” Rooney says. 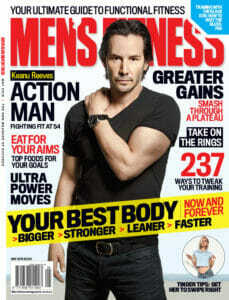 Who Should Do It: Guys who like to fight or burlier guys who are already powerful and who want to enhance their skills. 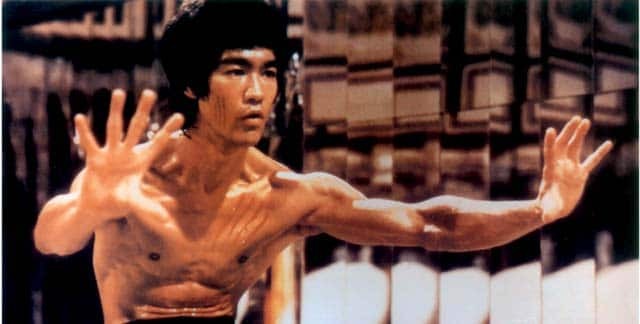 Known as “the way of the intercepting fist”, Jeet Kune Do was founded in the late ’60s by the legendary Bruce Lee (sometimes known as the grandfather of MMA). Jeet Kune Do’s foundation is based on several varying fight styles, including Wing Chun kung fu, fencing and Western boxing. Its training covers 4 ranges of combat: punching, kicking, trapping and grappling. Benefits: It’s considered a good all-round discipline, focussing on muscular strength, cardiovascular endurance and flexibility. 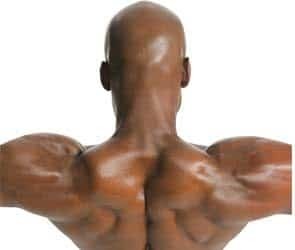 Who Should Do It: Blokes with strong upper bodies. “You need to have good functional strength and should be able to handle your own body weight,” says Sifu Sean R Glynn of New England Jeet Kune Do. Anyone from gymnasts to ­boxers and rock climbers will likely embrace the style. Loosely translated, taekwondo means “the art of the foot and fist”. It’s one of the most practiced disciplines in the world and the national sport of South Korea. “Taekwondo as a martial art is more about striking,” Rooney says. If you want to learn showy, flashy kicks (like you see in martial arts movies), try it. 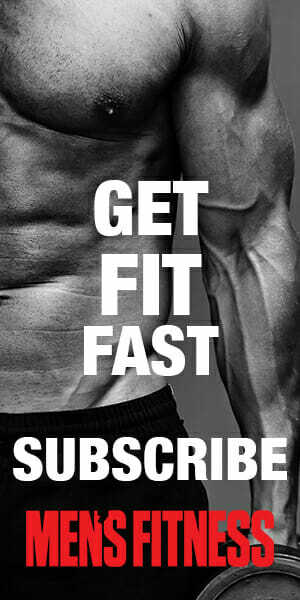 Benefits: Use it in place of sprinting or intervals. All the drills you’ll be performing make it perfect for enhancing your cardiovascular health. Who Should Do It: Energetic, highly active guys. “Taekwondo really favours somebody who is already explosive and fast,” Rooney says. Four secrets for the next time you need to throw down. “Don’t talk tough with your hands down by your side. That’s the easiest way to get knocked out,” says judo black belt Martin Rooney. Keep your hands up. The knuckles of your fist should be pressed to your cheekbones and pull in your chin to your chest. This protects your face while allowing you to strike when ready. Connect with your index and middle finger knuckle. The magic spots to target are the chin and nose. “Don’t hit the side or top of a guy’s head – that’s how you break all your fingers,” Rooney says. Try to back your opponent up against a wall to gain an advantage. “Grab hold of his coat or some fabric and drive him into a wall, then lay your weight into him to wear him out,” Rooney says. It’s almost like being on the ground, but you’re in control and can throw elbows to their face, and knees to their midsection. Grappling is a bad idea. “If you hit the ground, and the guy rolls on top of you and starts raining down punches, you won’t be able to get out,” says Rooney. “You have a better chance on your feet.” Besides, you don’t want the guy’s friends kicking you while you’re down.